It can be hard to lose weight without the right advice and fitness planning tools. A diet and nutrition personal trainer from Abu Dhabi, UAE explains the best options for short term weight loss goals. Weight loss is probably the largest part of the health and fitness industry in Dubai & Abu Dhabi. Many people look for a ‘quick fix’ but is there a ‘maximum’ amount of weight the average person can lose in a month? Honestly – No. But obviously it depends on how much overall weight you are hoping to lose. In the UAE I’ve seen, weight loss as high as 10kg in a single month, however this is a fairly extreme example. The more dramatic the improvements you make to your nutrition and the greater the intensity of exercise you do, will equate to a quicker drop in overall bodyweight. Saying that, the most sensible and consistent amount of weight I typically see is 1kg per week. As a diet and nutrition personal trainer in Abu Dhabi do you often feel your client’s expectations about how much weight they can lose in a month are unrealistic? 100% – Unfortunately we live in an era where we crave and require ‘instant gratification’ for most things we do, and weight loss is no different. We tend to decide we want to lose weight NOW, and if that doesn’t happen pretty much instantly we give up. One of the major roles of a weight loss personal trainer in the short term is to manage those expectations correctly. Many people who are looking for rapid weight loss in the UAE are doing so for a purpose – a special event for example. What advice can you provide to ensure a short term weight loss program is safe and healthy? For me, losing weight quickly isn’t dangerous or unhealthy – it’s just impossible to sustain. If you’re looking at losing weight quickly for an event, just ensure you don’t resort to using fat-burners or stimulants in order to assist you, as these will cause far worse problems after your event has been and gone. Always ensure you are taking in enough water throughout the dieting phase, and ensure you are getting variety with your food. Remember all you need to do is be in a calorie deficit, the bigger that is the more weight you will lose. Exercise, together with a weight loss diet should provide better results but do you think diet alone can achieve the same results? Dieting alone can provide incredible weight loss results. Some people may not be ready to start exercising or have the confidence to go to the gym when they first start their journey, however these people can still make incredible progression by just simply eating a better diet in Abu Dhabi & Dubai. Exercise does play a big part, but diet can get everything started. Diet and weight loss seem to be about numbers, calorie counting and more. Although everyone’s needs are different, for the average man or women in Dubai & Abu Dhabi how many calories should they be ‘dropping’ per day in order to achieve steady weight loss? For steady weight loss I tend to find that a 200 calorie ‘drop’ is pretty much perfect. It’s just enough to get the body into a calorie deficit, but not enough for the person to miss them. This then sets a baseline for things to be adjusted from. The most important place to start is to work out how many calories ‘your body’ needs per day and then calculate your intake accordingly. General guidelines can be very inaccurate, and this could mean you are pushing your body too hard. For the best advice look for a personal trainer in Abu Dhabi, Dubai or your area of the UAE who has diet and nutrition personal training experience. What are your views about keeping a food journal or even using an app to keep a record of calorie intake when trying to lose weight? I’m a big fan of both methods, However I only like to use them during the first phase of training. And during the first phase of personal or group training for weight loss this can be very eye opening to the client, and very quickly re-educates them to the foods they need. However after the first 2-3 months has passed, the daily logging of calories, counting, tracking can just become annoying as the client now knows what they are eating and how much of it they require. Once the client is confident, I get them to stop tracking as to avoid overloading them with tasks. If we need to we can always re-introduce it. MyFitnessPal, tends to be my go to app for tracking. Are there any foods and drinks that definitely should be avoided when trying to maximize monthly weight loss in the UAE? There are 2 things that tend to slow down weight loss, or blunt it entirely. Excessive alcohol intake – alcohol is a tricky substance for the body to process, it’s highly toxic and also loaded with calories. Those 3 factors mean you really need to watch how much you are having. 1 day of intake per week tends to be ok. This doesn’t mean that all the above are ‘bad’ for us – it just means that we eat way to many of them, far too frequently. Carbohydrates are very easy to over-consume, which is really tough when you’re trying to lose weight. Trying swapping your carbs for a protein source and see how much fuller you feel. For anyone looking for advice on ‘how much weight can I lose in a month’ what are your top 5 tips? The amount you ‘can’ lose depends on how much you have to lose overall. The bigger you are the more potential you have. Be realistic at all times. Don’t expect miracles right from the outset. Stop thinking about weight loss over the course of a month, and start thinking about ‘how much you can lose this year’. Most people lose too much weight over the course of a month, and not enough over a year. Take advice from someone who knows what they are doing – a male or female weight loss personal trainer or nutrition expert in the UAE, this can save you a serious amount of time. No food in itself is ‘bad’, it’s just the volume of it you’re eating. 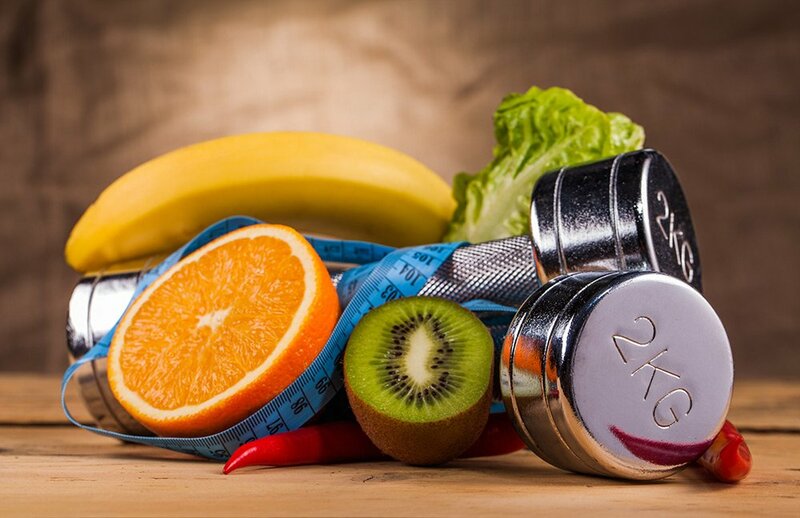 Weight loss is easily achievable in the UAE if you follow the right advice and get the support from a professional fitness coach near you in Dubai, Abu Dhabi or Sharjah.